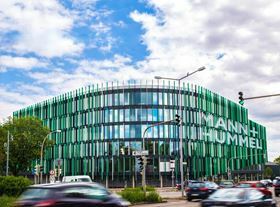 Mann+Hummel’s headquarters in Ludwigsburg, Germany. Filtration specialist Mann+Hummel has reported preliminary revenues of approximately €4 billion for 2018, up 1.7% year-on-year. The company says that in light of unsatisfactory earnings in 2018, it will begin a global savings initiative to reduce its cost structure by approximately €60 million. Mann+Hummel expects to complete the initiation of these cost saving measures by the end of 2019 and to realize the full effects in 2020. The company will present full 2018 annual results in May 2019.